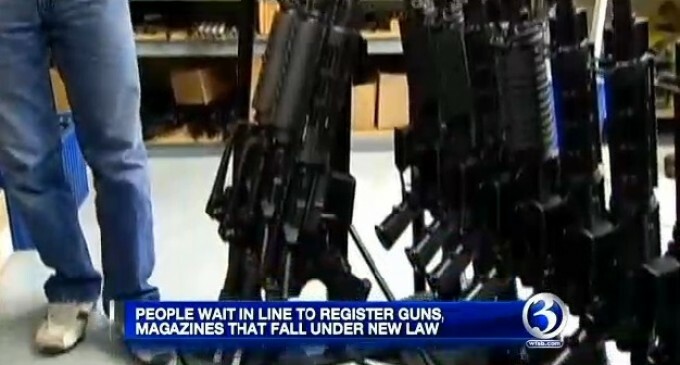 Canadians have a warning for Americans considering gun registration laws: There is no other reason for a gun registry than to make gun confiscation easier. It’s citizen control, pure and simple. With many other more traditional forms of government control over its citizens changing and weakening, such as the rise of state-independent currencies like Bitcoin and the increase in citizen journalism via mobile devices and the Internet, many ‘progressive’ lawmakers are eager to claw as much control away from citizens as possible. Gun grabbing is one of the favorite liberal tactics and in the video report below Brian Lilley provides a perspective from a country that has already succumbed to a national gun registry law. That is so when they decide to come and get them, they will know exactly where they are. I won’t register my guns so I can defend my liberties from cops feds etc. Kill me in my home because I won’t go anywhere with you. Sounds a lot like Waco Texas and Ruby Ridge…………..